In a surprise move, the Spanish bank’s current CFO will replace Juan María Nin as chief executive. Meanwhile, Chairman Isidro Fainé consolidates his power. New CEO Gonzalo Gortázar is well regarded but he lacks retail bank experience. He still deserves the benefit of the doubt. Caixabank's President Isidre Faine (R) and Chief Executive (CEO) Juan Maria Nin arrives for an extraordinary general shareholders meeting. CaixaBank, Spain’s third-largest lender, said on June 30 that its current Chief Financial Officer Gonzalo Gortázar would replace Juan María Nin as chief executive. The decision was by mutual accord and approved unanimously by the board, the bank said in a statement. 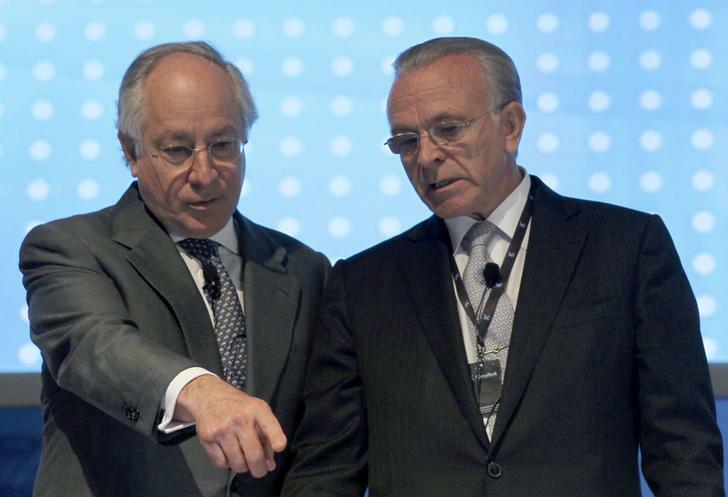 Antonio Massanell, a managing director, will replace Nin as new deputy chairman. Juan Antonio Alcaraz takes on more commercial banking responsibilities as CaixaBank’s managing director of business development. CaixaBank said Nin would continue to represent La Caixa Group on the boards of Repsol, Erste Bank and Gas Natural Fenosa. CaixaBank shares closed up 1.7 percent on July 1, outperforming Spain’s IBEX index.